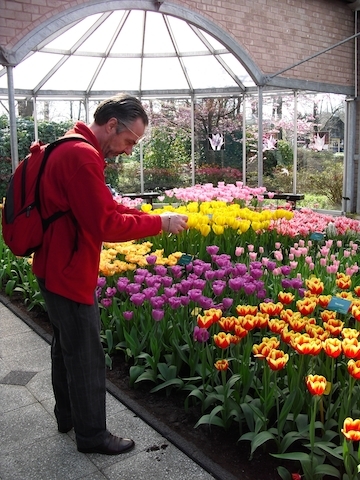 Experience the colourful wonder of Holland’s flower fields and world-famous Keukenhof Park. Seasonal more than 7 million tulips and other bulbs are on display. 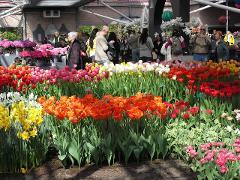 Keukenhof Park is one of the most popular attractions in Europe. Our half-day tour is the best way to get to these out-of-the-way gardens. 44 million people have visited in the last 60 years. Starting from your hotel in Amsterdam, we will pick you up by car and head south-west to Lisse. 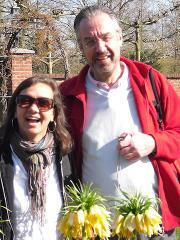 There you will find Keukenhof Park, the biggest flower garden in the world. You can explore the wonderful flowers in the park’s gardens and greenhouses. On your return to Amsterdam the tour will stop in the tulip fields if blooming and if the weather allows. Then continue on to the beautiful city of Haarlem. Explore the capital of North Holland and there enjoy a light meal or refreshment. • The tulip fields do not bloom all season but only for a few weeks. • Blooming tulips can be seen inside the Keukenhof garden as they consistently replant during the season. • A pending notification will be automatically sent and we will personally get back to you with availability. • This is for your enjoyment and allows a personalised experience. • Group size allows for more to be covered in a short amount of time. Unless otherwise notified payment will be in cash on the day of the tour. If you have a group email and we can provide a quote.